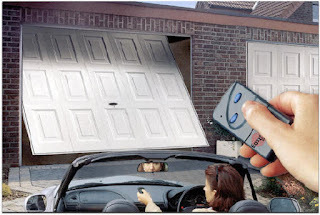 If you have an older garage door opener or remote that does not employ the newer rolling code technology, you could be putting the safety of your home and family at risk. Today more than ever, hackers have expanded their focus to many other electrical devices besides the computer. Hackers have found that older style handheld remote garage door transmitters can be bypassed with a little bit of electrical wiring finesse. Hackers can easily modify a standard door opener to accept a USB port, and software is readily available on the web to modify how it operates. This deceptive action communicates with your garage door opener and allows hackers to gain entrance to your garage. Homeowners might be surprised that this task is possible and can be an alarming and somewhat unsettling prospect. Professional Hackers have even gone so far as to demonstrate their prowess by spotlighting their “how to” videos on YouTube and other video sites. As a homeowner, you can stop this from happening to you by properly protecting your garage door with rolling code technology. Rolling code technology is used in keyless entry systems, garage door openers for example, to prevent someone from stealing the code you use to open your garage door. Rolling code, also called Intellicode or CodeDodger, replaces the old technology of setting dip switches on the garage door opener operator. 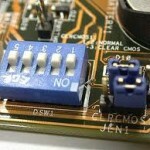 "Dip switches were used back in the 1950′s through about the early 1970′s. This technology sent out a single code to open or close the garage. As garage door openers became more common, codes were often duplicated, as a set of dip switches can only have a maximum of 256 possible combinations. This caused quite a problem. Imagine driving down the street and being able to click your remote control and open your neighbors garage! What a security nightmare! Not only were there not enough variation of codes for the dip switches to handle, it was very easy for someone in the know to capture the signal, and use it at a later time to get into your home." This capability means that they can never be repeated or bypassed; thereby making stolen codes useless to pesky burglars looking to rob you blind. Staying connected and plugged in to new security features for your home is critical these days. The wonderful World Wide Web can provide a wealth of information on how you can upgrade your old garage door remote and opener. Using a rolling code transmitter can make home security systems even more secure and purchasing an updated opener is your first defense against intruders from entering your home. "What if I don't Have Rolling Code Technology?" 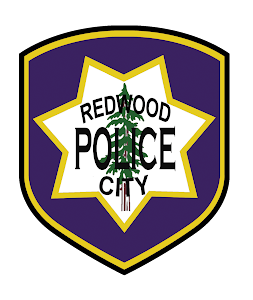 Redwood City Police Department 2011. Picture Window theme. Powered by Blogger.